Whipped Cream goes great on so many things. Pie, cupcakes, fresh fruit, ice cream sundaes, milkshakes. 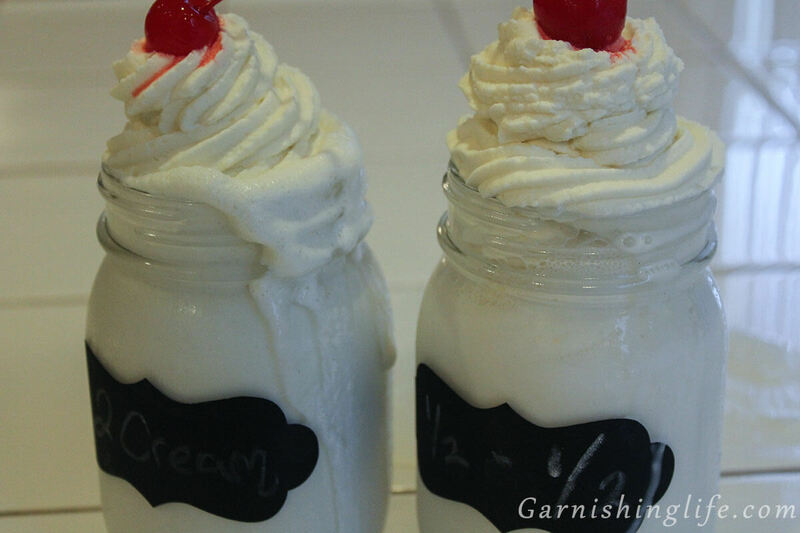 Today is National Vanilla Milkshake Day, so I created a post to teach you my Two Cream Vanilla Milkshake. 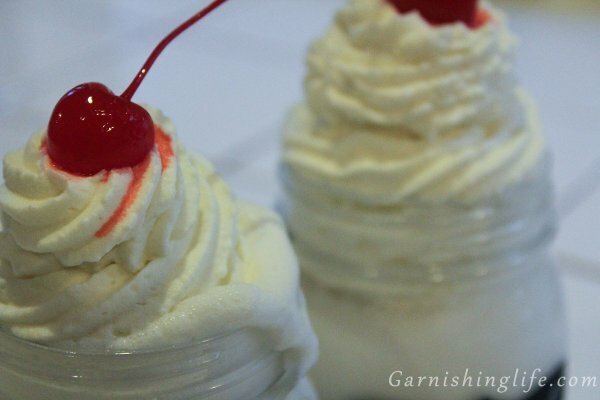 And what better to top off a milkshake, then some sweet, light, fluffy, homemade whipped cream? Whipped cream and maraschino cherries. Eh…? 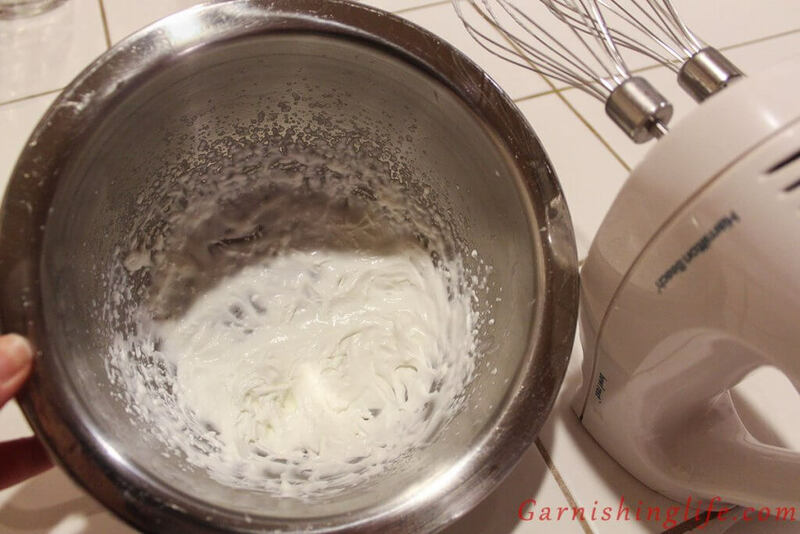 I even use this homemade whipped cream as a filling for cupcakes. 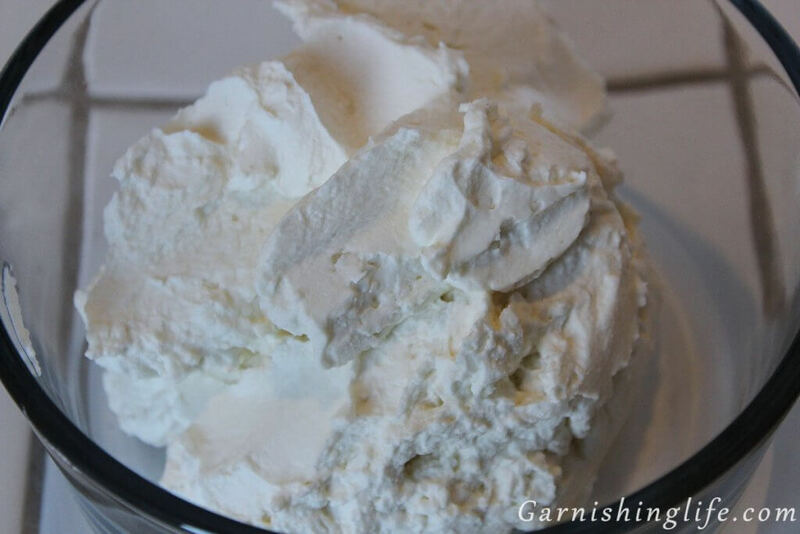 This homemade whipped cream is so incredibly fast and simple, I can’t believe more people don’t make it. It tastes so much lighter than the canned stuff in stores. This post, like the recipe, will be short and sweet. That’s all that’s needed! About 30 minutes before you’re ready to start, freeze a metal bowl and your whisk attachments. The colder the better when you use whipping cream. Using cold, heavy whipping cream, whip on low for one minute. Then raise the speed to medium for one minute. Peaks will begin to form in the cream. Keep your mixer moving. Scrape the sides and bottom gently while whipping. On low, whip in the vanilla. Very gradually whip in the powdered sugar. I do a spoonful at a time and continue whipping as I add. Let your spoonful fully incorporate before adding the next spoonful. Try to work quickly, so it doesn’t over whip and clump up. Then you’re done! Garnish depends on what you’re topping with the Whipped Cream. On many occasions, reach for the sprinkles or maraschino cherries. Chocolate shavings would be great. OR! 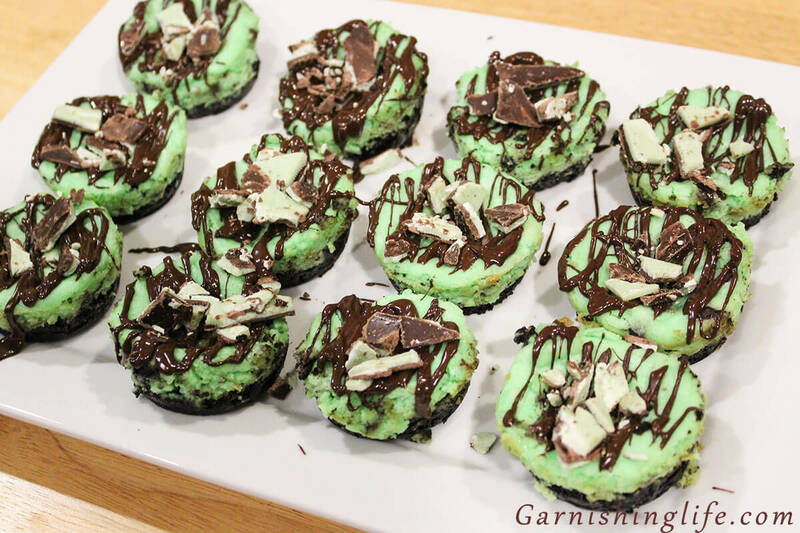 Use your Whipped Cream as the Garnish. And enjoy. 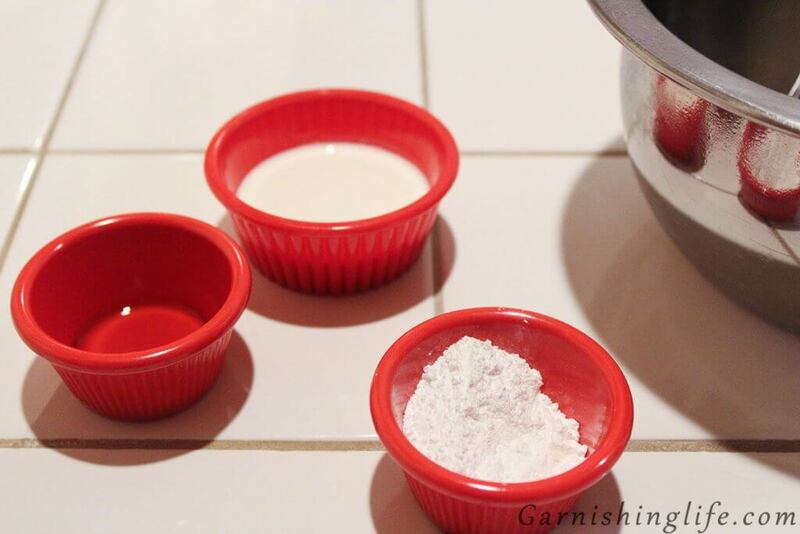 Freeze a metal bowl and whisk attachments to hand mixer for 30 minutes. 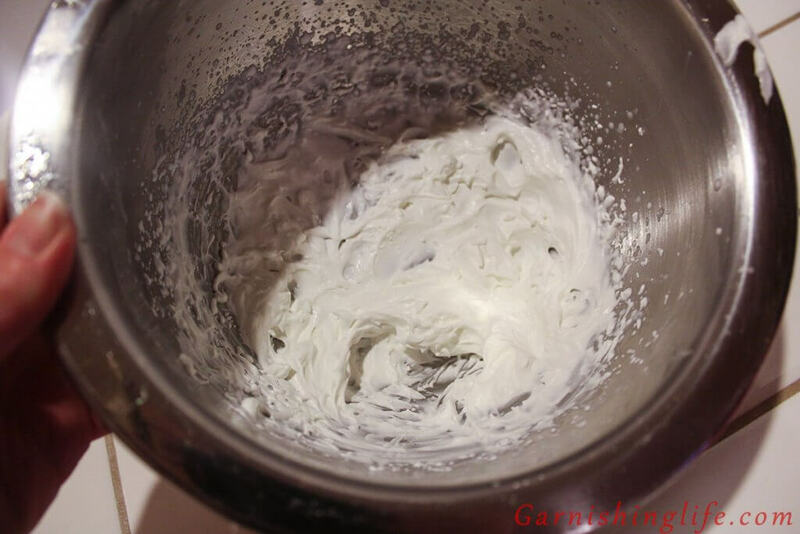 Using a hand mixer, whip cold whipping cream on low for one minute. On low, whip in vanilla. Gradually whip in powdered sugar, small amounts at a time. Using a cold metal bowl and cold whipping cream makes for faster peak formation. Be sure your bowl and whisk attachments are completely clean and dry. Any water on the bowl or whisks can have an effect on the peaks forming correctly. Use 1 Tbs less of powdered sugar, and add in 1 Tbs of hot cocoa mix for a delicious chocolate whipped cream.